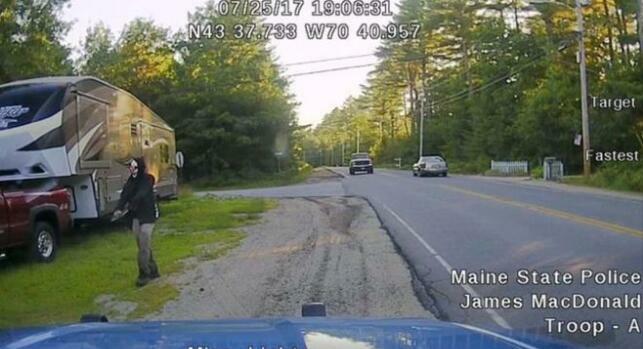 Police in the US state of Maine have arrested a drunk, one-armed clown who was brandishing a machete. Corey Berry, 31, from the town of Hollis, was spotted walking down a road in a black hooded sweatshirt and a clown mask, holding the weapon. He had duct-taped the machete to his arm, which police say had been amputated. Worried residents began calling 911 at around 18:00 local time (22:00 GMT) on Tuesday. 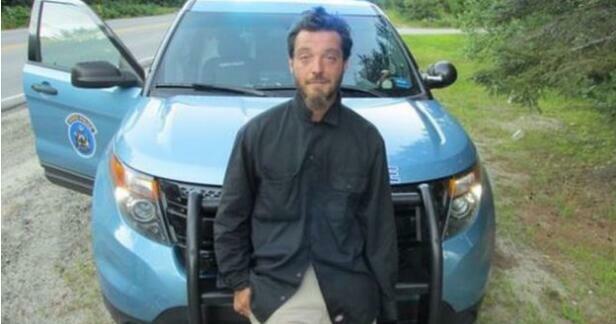 Local outlet wcsh6.com said Mr Berry ran off into the woods, where police struggled to apprehend him as further emergency calls came in. 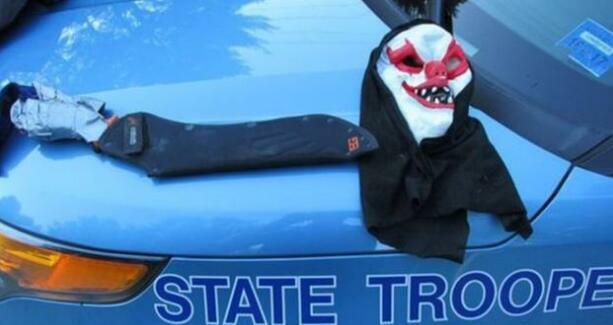 State Trooper Adam Schmidt said the clown was highly intoxicated, but cooperative. 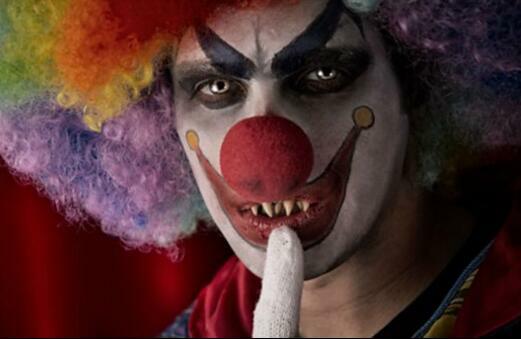 He told police he had been inspired by previous creepy clown sightings and was trying to play a prank. Mr Berry was arrested and charged with criminal threatening. He was taken to York County Jail, but was released after posting $200 (£150) bail. While sightings have died down this year, summer and autumn 2016 saw a wave of "killer clown" stunts that spread across the US, UK, Canada, and Australia. The sinister craze began in South Carolina, with reports that men dressed as clowns were trying to coax children into the woods with money. It was followed by sightings in Alabama, Georgia and Pennsylvania. Schools in Texas and Alabama even shut down over the phenomenon. One theory had it that the upswing in creepy clown antics was linked to the release of novelist Stephen King's upcoming film, It. The plot involves a child-slaughtering being which takes the form of a clown called Pennywise to lure its prey. King criticised the craze last October, tweeting: "Hey, guys, time to cool the clown hysteria - most of em are good, cheer up the kiddies, make people laugh."